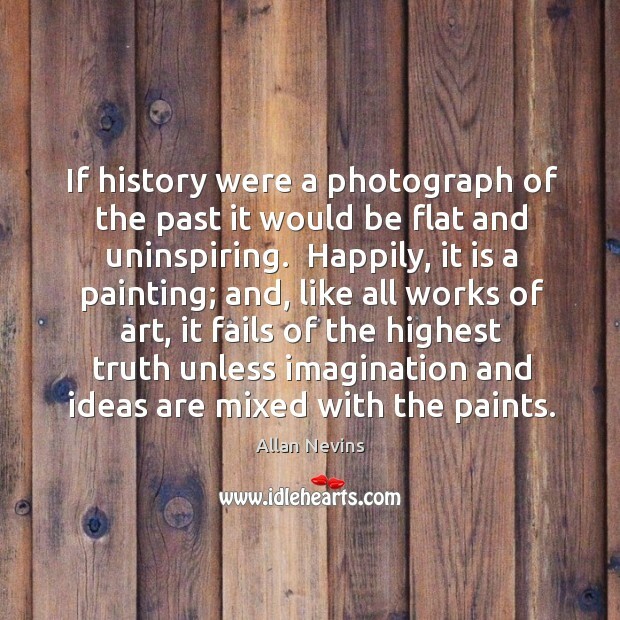 Enjoy the best inspirational, motivational, positive, funny and famous quotes by Allan Nevins. Use words and picture quotations to push forward and inspire you keep going in life! 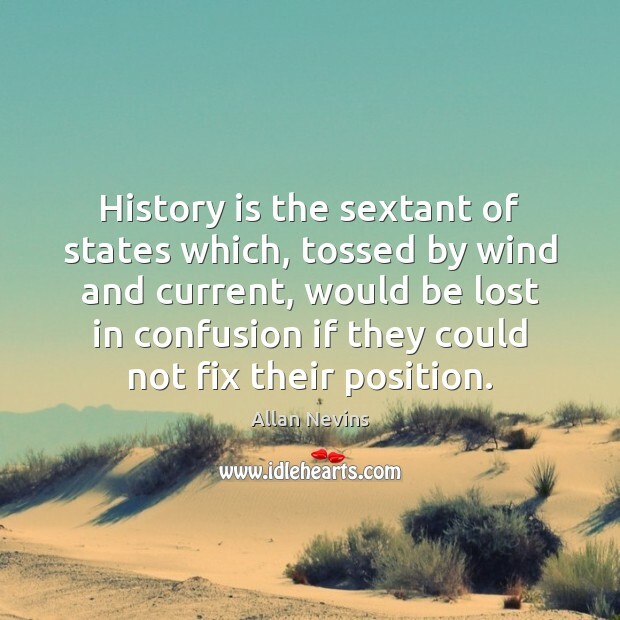 History is the sextant of states which, tossed by wind and current, would be lost in confusion if they could not fix their position. History is never above the melee. 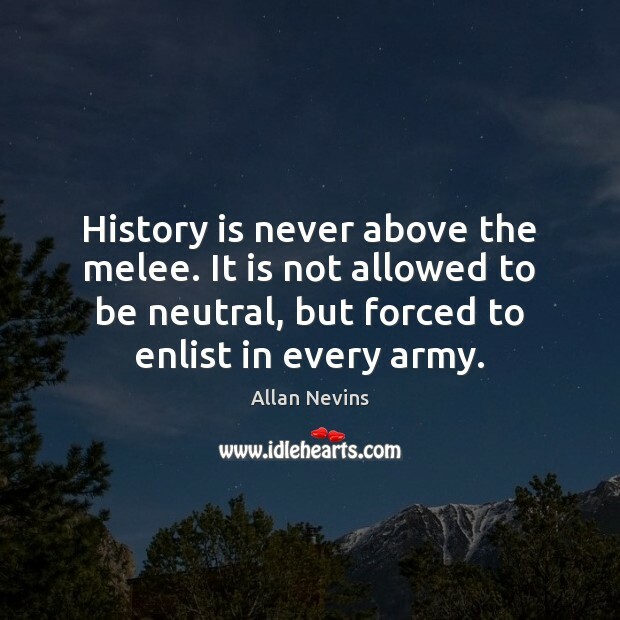 It is not allowed to be neutral, but forced to enlist in every army. If history were a photograph of the past it would be flat and uninspiring. Happily, it is a painting; and, like all works of art, it fails of the highest truth unless imagination and ideas are mixed with the paints.